Basically today the Oberbaum Bridge (Oberbaumbrücke) is just an old but beautiful bridge that connects the two Berlin boroughs Kreuzberg and Friedrichshain. But then again, the Oberbaum Bridge stand for so much more – is so much more. During the Cold War era the bridge was blocked. Kreuzberg was part of West-Berlin and Friedrichshain was part of East-Berlin. The Berlin Wall basically split the bridge in two. 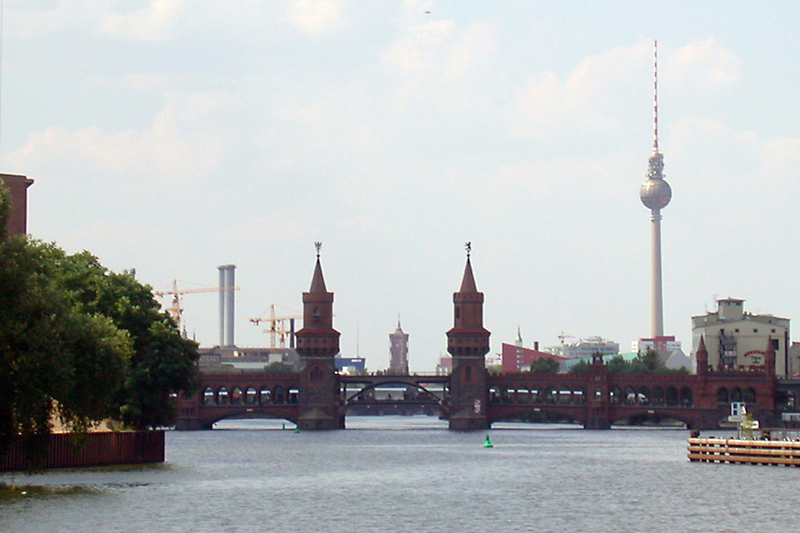 No U-Bahn would cross the river spree – no people could cross the bridge – the bridge was part of the border installation. Today the bridge is one of the many symbols of the Fall of the Berlin Wall. Almost as powerful as the Brandenburg Gate it stands for the connection between former East- and West-Berlin.